Halloween Costumes for Toddlers - Part I - Bash & Co.
With Halloween just around the corner, we are currently scrambling to figure out Bash’s costume (with all the costumes for toddlers, you’d think it would be easy). We figure this will be the last year to dress Bash up on our terms, before he starts getting really opinionated on his costumes. Here’s a look back at our last two Halloweens…. 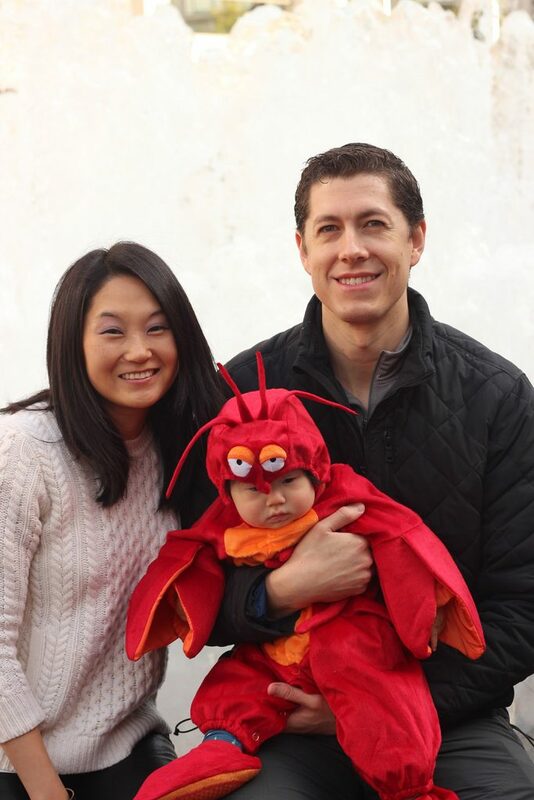 For Bash’s first Halloween in 2015 (he was 8 months), we paid homage to another famous “Sebastian”, Disney’s “The Little Mermaid” crustacean. 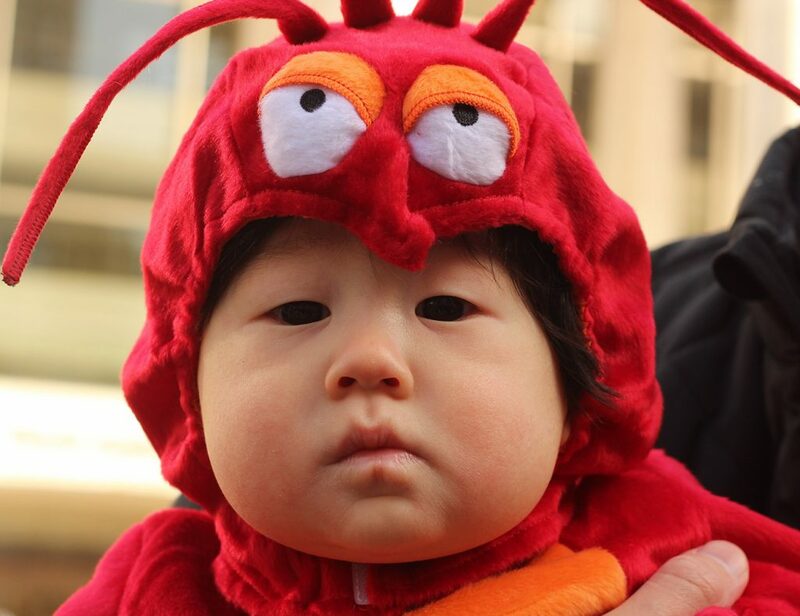 We used a store-bought lobster costume; apparently, Disney’s version is really a crab, but close enough! I’m not sure Bash really enjoyed being a lobster (you can see his pouty face) and he really didn’t like the headpiece nor booties. But we thought he was the cutest crustacean! We’re not quite sure how we can top last year’s Halloween! Once again, it was mid-October and we were stuck debating ideas. When suddenly, Nick had an epiphany (or, out of the corner of his eye, he spotted Bash’s In-N-Out paper hat from our last trip to Nick’s hometown in California). Bash would be the cutest In-N-Out server the East Coast had ever seen! I mean, who doesn’t love In-N-Out and who doesn’t love fries? No offense, Shake Shack (we totally love you, too), but In-N-Out is iconic and was very much a unique costume for NYC. After some trick-or-treating, we headed to the American Museum of Natural History’s Halloween party. In a sea of firemen, cartoon characters, and superheroes, Bash definitely stood out. 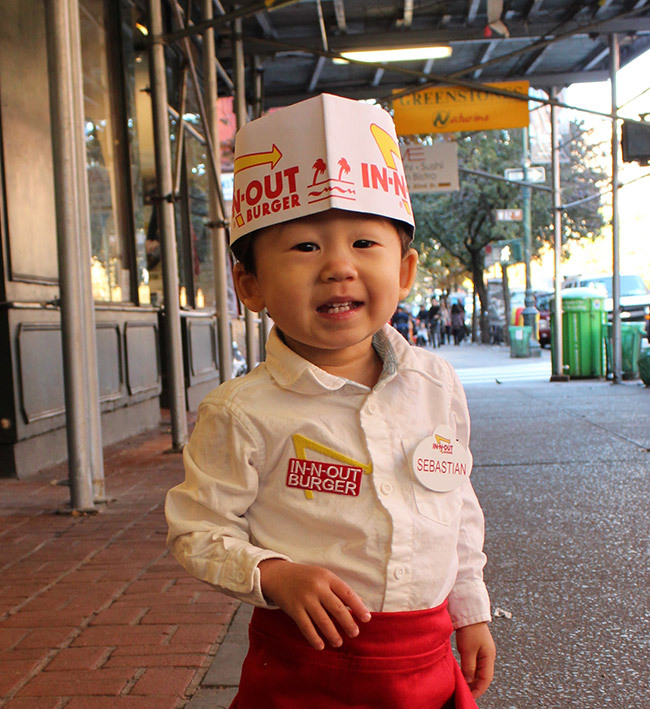 We got tons of compliments on his original costume and lots of reminiscing from hungry parents longing for Double-Double Animal Style. The best part: the costume was pretty easy and inexpensive to put together! Seriously, the hardest part was finding boys’ white pants (I wound up buying a pair of Ralph Lauren girls’ white leggings and cutting off the attached bows). We already owned a white button-down shirt, a pair of black Converse sneakers, and we had kept some of the free paper hats they give away in the restaurants. So, all we had to get were a few official accessories: iron-on In-N-Out patch, personalized name-tag, a red serving tray, and a red apron (we got the Williams-Sonoma kids apron and folded it; another plus: year-round use for our little Chef Bash!). We’ve been debating if we should just make him an In-N-Out server again this year, haha. I even made Bash try on the white leggings, but, alas, they are too small. 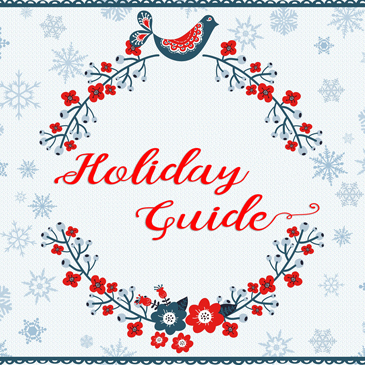 We’ve got a couple more weeks to get the creative juices flowing. What do you think Bash should be for Halloween? If you have any suggestions for Halloween costumes for toddlers, let us know! 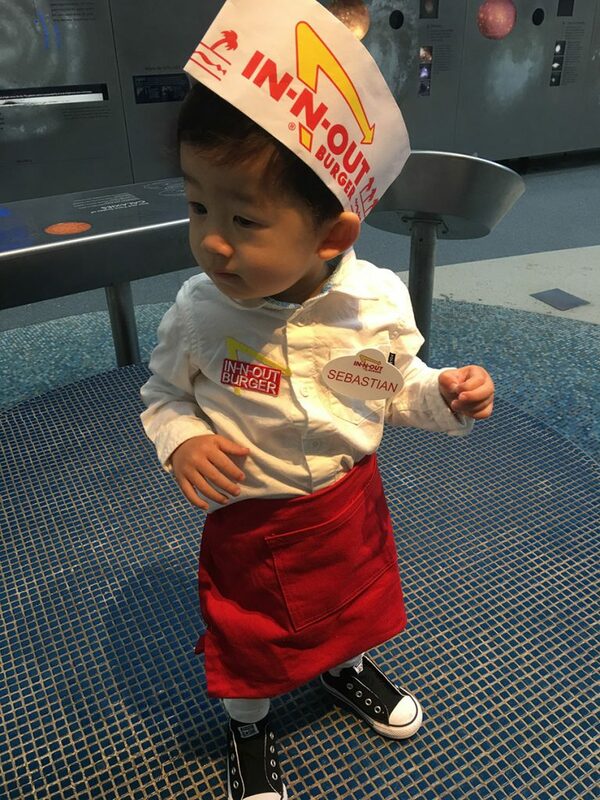 Hi – can you share where you got the in n out iron patch and name tag? Much thanks!! Hi Tanya! Here’s the website for the customizable name badge: https://nicebadge.com/index.php?main_page=product_info&cPath=2394_4730_3060&products_id=91980. I got the patch on eBay but it looks like they aren’t selling them anymore. Alternatively, you could use an iron-on transfer sheet: https://www.amazon.com/dp/B00007E7D0/ref=cm_sw_r_cp_api_T27SBb640S4RC. 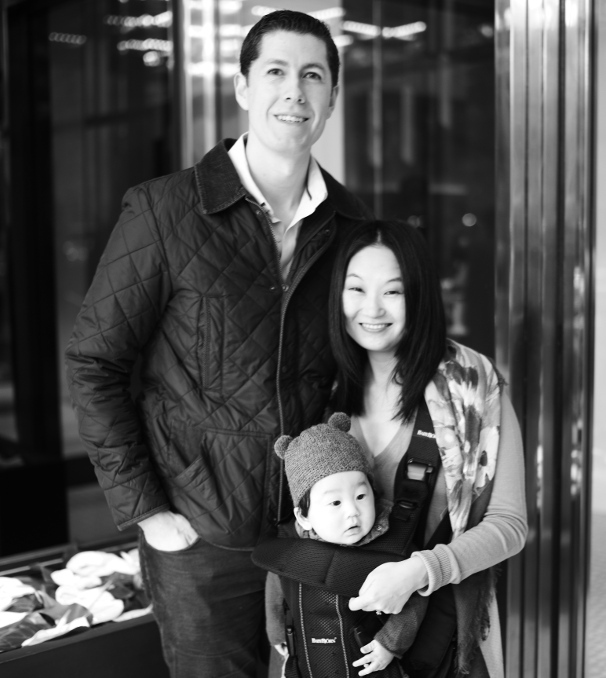 Oh and hats are free if you just ask for one at the restaurant!